In business since 1993, Sharp Carpet’s in-house installation team stands behind its work 100 percent. A floor installation should highlight the beauty of your new floor, not how cleverly the products are placed. Sharp Carpet’s installation service is made up of flooring experts who get your installation done to manufacturers’ specifications on time and on budget. By installing to the manufacturers' specs, their warranties and guarantees are in place. Our clients in Homewood, Birmingham, Calera, Jefferson County and Shelby County, expect the best from Sharp Carpet, and we deliver on budget and on time, backed-up by our warranty on all work performed. If you have any questions or need help with any of the above, let us know and we will sort it out. A flooring installation is a hive of busy workers. From start to finish all the workers are on-purpose to complete a perfect installation. To start, all delivered materials will be checked for damage or flaws. The supervisor will review the installation plan that shows where seams and joins will go, how the nap of the carpet will lay, and specific installation patterns for decorative applications. 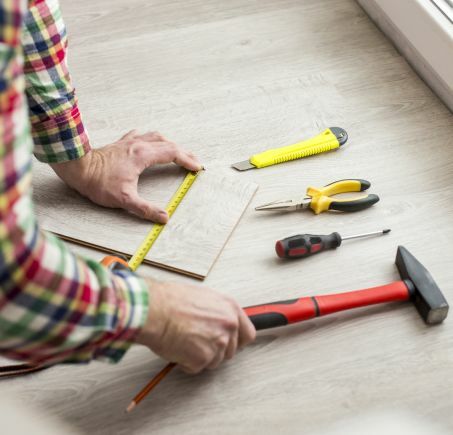 You may be asked to stay off the flooring until it ready to be used, this time varies between materials. When the installers have finished you will walk through the installation for approval or to note any adjustments. Your installation will be complete only when you are completely satisfied. Sharp Carpet stands ready to serve you with all your flooring installation needs.